Levine kept her word, and has spent the past half-century studying Christianity and Judaism, attempting to unravel the tangled relationship between the two religions. Today, the 57-year-old married mother of two is a member of an Orthodox synagogue in Nashville, Tennessee; University Professor of New Testament and Jewish Studies at Vanderbilt University; and a leading figure in Jewish-Christian interfaith relations. Her 2007 book, The Misunderstood Jew, was a bestseller, reaching not just academics and clergy but the general public through media such as NPR, PBS and The New York Times. Throughout, her goal has remained the same: To clear up 2,000 years’ worth of misconceptions between Jews and Christians. 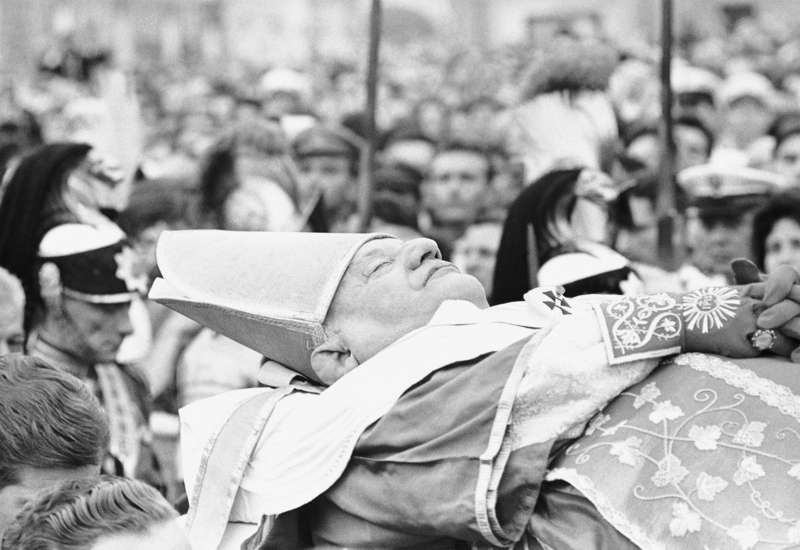 The funeral of Pope John XXIII in 1963 was broadcast worldwide. As Fisher sees it, “Nostra Aetate is saying, ‘Let’s start all over again.’ It’s a radical new beginning to say we’ll bracket this almost 2,000-year history of negative teaching and start from scratch.” Soon after Vatican II, Catholic theologians and Jewish leaders began engaging in regular, official interfaith dialogue, and the Church built the infrastructure to sustain these conversations, including the Ecumenical and Interreligious Affairs division at the U.S. Conference of Bishops. This was a welcome change in the United States, where—unlike in Europe—Jewish and Catholic immigrants lived side by side as minorities in a white Anglo-Saxon Protestant society. Still, Jews had deeply rooted fears about Catholicism—and Christianity in general. So although most Jews applauded Vatican II—and Jewish organizations began creating their own departments of interreligious affairs to match those in the Christian world—many viewed the changes with skepticism. According to Lawrence Schiffman, professor of Judaic studies at Yeshiva University, Orthodox Rabbi Moshe Feinstein and the Lubavitcher Rebbe opposed Nostra Aetate, “thinking it was an attempt to convert Jews,” while others, such as Orthodox Rabbi Joseph Soloveitchik, were open to the prospect of interfaith relations but set strict parameters for how it could be done. Two millennia of persecution and mistrust could not immediately be overcome. At Smith College in the mid-1970s, Levine immersed herself in coursework on the New Testament and early Christianity. Graduating Phi Beta Kappa with double honors in religion and English, she entered a doctoral program in New Testament Studies at Duke University in North Carolina. There she quickly discovered that studying the Gospels as a woman—and a Jew—was complicated. That she was Jewish was even more unusual. Although Jews had engaged with the New Testament for millennia—particularly during the Middle Ages—it wasn’t until after the Holocaust and Vatican II that the idea of a Jew studying the New Testament started to gain more acceptance. One of the pioneers in the field was Rabbi Samuel Sandmel, an army chaplain in the Pacific during World War II, who earned his doctorate in New Testament Studies from Yale in 1949 and went on to write several landmark books: A Jewish Understanding of the New Testament, We Jews and Jesus and We Jews and You Christians. Jorge Mario Bergoglio is now Pope Francis. Levine, whom colleagues call “indefatigable,” “relentless” and a “dynamo,” flourished at the divinity school—which was founded as a Methodist-affiliated biblical department and, like most other divinity schools across the country, became ecumenical in the 20th century. She rose through the ranks, eventually becoming one of seven University Professors. She teaches courses such as “Jesus in the Early Christian Communities” and “Feminist Biblical Interpretation” to a primarily Christian student body—in the past decade, Vanderbilt Divinity School has never had more than three Jewish students at a time. Levine is one of the best-known Jewish New Testament scholars, in part because of her success in reaching popular audiences. “She has uncommon gifts in taking what’s arcane and esoteric scholarship that’s written for the guild, and translating it into terms that have real scholarly integrity but are accessible and therefore can change the viewpoint of a much broader public,” says Christopher Leighton, executive director of the Institute for Christian and Jewish Studies in Baltimore, Maryland. Her distinctive speaking style, sprinkled with pop culture references and jokes that enliven her analyses of Jewish-Christian relations, make her a sought-after speaker. Levine spends many of her evenings conducting adult education, and has visited more than 60 local churches around Nashville, which she calls “the buckle of the Bible belt.” Every Monday night, she teaches graduate-level courses to inmates at Riverbend Maximum Security Institution. She also participates in a series of interfaith lectures at synagogues. Her home base is Sherith Israel, an Orthodox congregation that she happened upon because her son liked going to shul there. “So here I am, a non-kosher, non-Shabbas-observing member of an Orthodox congregation,” she says. To convince Jews of the New Testament’s importance, Levine points out the historical relevance of the text. “If we want to fill in the gaps of our own history, it behooves us to know the New Testament,” she says. As Levine explains, there aren’t many Jewish sources from the first century, and the New Testament is one of the few available. Levine first noticed this as a girl in Hebrew school. “We were really good until the Maccabees, and suddenly, we were in the Mishneh, and I never quite understood what was happening in the first century,” she says, noting that she later found that the New Testament could unlock this past. “In studying the New Testament, I was recovering my own Jewish identity.” For instance, she says that it is because of the New Testament that we know that some first-century Jewish women owned their own homes, had control over their own money, had freedom of travel, went to synagogue—and overall, played a prominent role in the Jewish community. Although some Jewish scholars chose not to sign, Levine felt the good outweighed the bad, and that it was important to recognize the great strides made by Catholics since Nostra Aetate. Pope John Paul II, who was elected in 1978, was the first pontiff to visit Auschwitz and established full diplomatic ties between the Vatican and Israel. During a trip to the Jewish State, he visited the Western Wall, where he prayed for forgiveness for the sins committed against Jews throughout history. 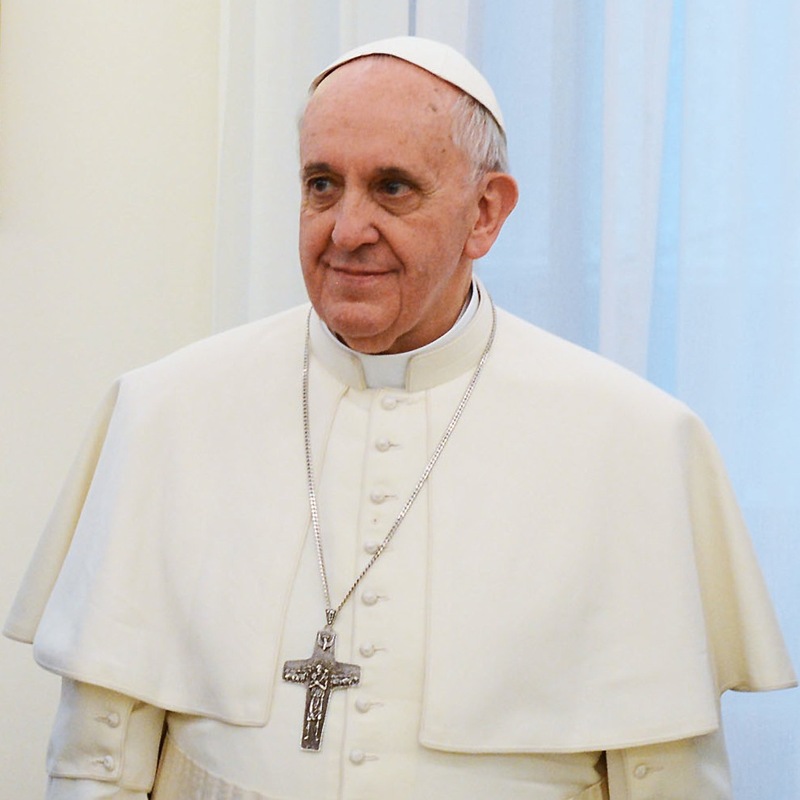 The new pontiff, Pope Francis, elected March, caught the world’s attention in June when he said, “due to our common roots, a Christian cannot be anti-Semitic.” This was not the prelate’s first overture to the Jewish community: As a cardinal in Buenos Aires, he regularly visited synagogues, attended prayer services and held a series of interreligious talks with Argentine rabbi Abraham Skorka—which were later published as the book, Sobre el Cielo y la Tierra (On Heaven and Earth). Watching from afar, Levine says she finds Pope Francis “remarkably open.” Although she has not met him, David Sandmel gave the pontiff a copy of The Jewish Annotated New Testament when he met him as part of a June delegation from the International Jewish Committee on Interreligious Consultations. “He was not aware of it, but seemed quite interested,” says Sandmel. The film “One Day After Peace” has a growing interest from Christian specially Catholic universities, Organizations ect. Count me in as one Christian pastor who keeps the Jewish Annotated New Testament right next to the JPS TNK in arm’s reach from the desk. A-J Levine is a prize for Vanderbilt, for Christian-Jewish scriptural understanding, and for human sexuality and religion. A biblical scholar with a humane heart for depth messages, she is indeed a prize for all touched by her scholarly and teaching gifts. Thanks for the great article. A terrific article–my one disappointment was that we didn’t get to hear from her students. I was lucky enough as a freshman to take a course on the New Testament from Prof. Levine and was transformed by it. Like many of us, I unofficially “minored in A-J”, taking as many courses as I could fight my way into. It was, simply, the ideal educational experience. Every aspect of my learning life has been affected by those hours in her classes and seminars–not just my knowledge of and approach to Scripture, my own and the Christian Scriptures, but also my approach to learning from and with any text and any person. her lectures on old and new testaments and parables are incredible. i watched on dvd. I hope and wish Christians and Jews do worship the same G-d as stated in the first tenet of the joint statement, however, I wonder if that is possible given the Christian view of the trinity. If Jesus is mysteriously equivalent with Ha Shem as claimed my nearly all Christian creeds then how can we Jews reconcile this with our faith which very specifically states there is no mediator between G-d man? I wonder how AJ reconciled that in signing f the agreement. I do understand that Christians would be happy to affirm the provision since the faith is entirely dependent on the validity of the Hebrew G-d. Any insight that one would share in this would be appreciated. Thank you. As a pastor, and now retired pastor, Amy-Jill Levine has been one of my favorite authors for years now. May she be blessed!